It may take a village to raise a child, but how do you get the members of that village to act like a unified whole, not a warring tribe? In other words, how do you get a group of people who may be part of a physical community to act like anything other than a bunch of selfish individuals? Developed as a part of the “safe schools” movement, the Community Building Series was developed to help students learn important skills that can turn every classroom into a true learning community. Within a learning community, all students and teachers are sincerely interested in one another and actively work to help each other learn. All members feel valued for what they can contribute. They feel safe and protected, and they are able to take risks as learners. In other words, within a learning community, caring and learning go hand in hand. Such characteristics are vitally important in today’s schools where large numbers of students representing different ethnicities, cultures, socio-economic levels, values, and abilities are enrolled together in classrooms. 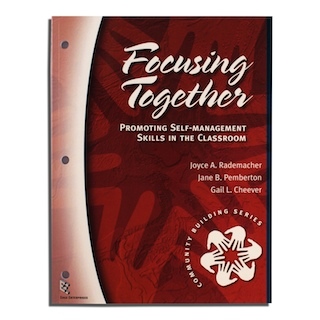 This series is especially useful in classes where students with disabilities and other low achievers are enrolled with average-achieving and high-achieving students because students learn how to help and support each other within the community. As a result, negative interactions and bullying are minimized, and students who need help and support can receive it within the structure of the class. The first program in the Community Building Series is Talking Together. The purpose of this program is to teach children to treat one another with respect, the foundation upon which all learning communities are built. As part of this instruction, children learn to give each other a chance to talk. They learn to listen to what their classmates are saying and to support their oral expression of thoughts and information. Basically, they learn to treat one another with kindness and to establish the communication skills necessary for a learning community to flourish. The purpose of the Following Instructions Together program is to teach students to follow instructions, another skill that’s foundational for a flourishing learning community. 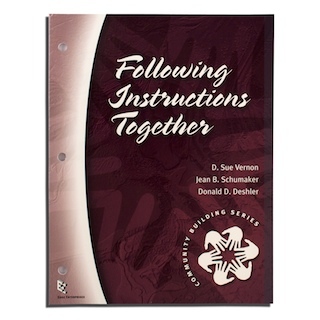 As part of this instruction, students learn to follow both simple and complex instructions and to help their partners do so. They also learn to make sure that their classmates have a clear grasp of assignments, and to check the quality and accuracy of each other’s assignments before handing them in. 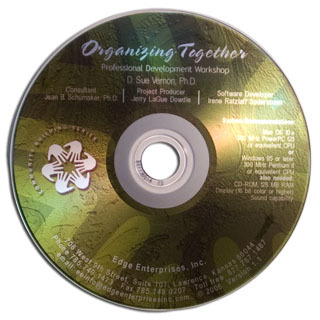 The purpose of the Organizing Together program is to teach students the organizational skills necessary for any type of learning to take place. 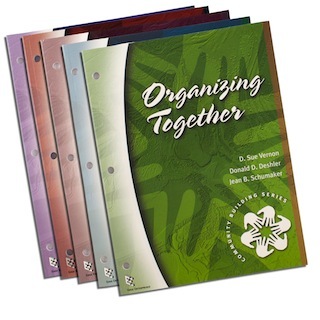 Specifically, students learn to set up, maintain, and periodically clean out notebooks, lockers, and backpacks. In addition, they learn how to organize and schedule their time. They work with partners to help each other remember the necessary behaviors associated with being organized. 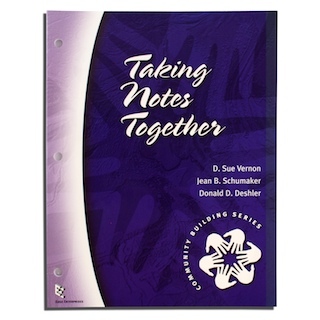 The purpose of the Taking Notes Together program is to teach students how to take good notes (and help partners take good notes) while listening to a lecture, reading, and watching videotapes. Specifically, students learn the different parts of an outline and how to identify those parts while listening to lectures, reading printed information, and watching videotapes. They also learn how to translate the information they are hearing or reading into concise notes.